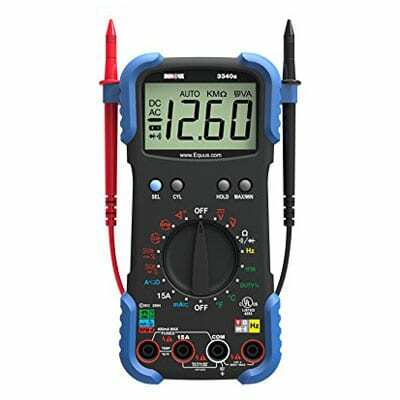 A multimeter is a traditional instrument of electricians, automechanics and other technicians. This instrument is so easy in use that you need no special skills or knowledge to feel the benefits of utilizing it. Besides, multimeters aren’t very expensive. Every car owner may afford buying the one without going bankrupt. As the choice of the proper instruments is always a challenging task, we have created the list of five best multimeters. No matter which of the mentioned further tools you acquire, you will be definitely satisfied with your purchase. Besides their direct functions, these multimeters can assist you in a number of other works. As they are easy in use, they can be employed by professionals as well as simple car enthusiasts. Moreover, in this case, good quality instrument doesn’t signify that you must spend much money on it. All these multimeters have affordable prices and, simultaneously, are of very decent quality. By having a multimeter at hand, you will easily cope with measuring voltage, current, capacitance and resistance. So, all these tools are rather versatile and will cope with different tasks. The Inova multimeter is liked by professionals of automotive repairs as well as amateurs for its multifunctionality and easiness of use. If you face problems with the incorrect engine performance, this tool will help you to find out what the problem is. As the tool keeps temperature probe functions, it will determine the temperature in both Celsius and Fahrenheit degrees. Besides, its inductive clamp will measure revolutions per minute of your automobile. Basically, almost every detail, located under the car hood, can be checked by this multimeter, starting from the alternator diodes to the breaker points and wiring. Moreover, this tool is rather compact and you can easily transport it. It can be stored in its own carrying case, which can fit inside almost any toolkit. Furthermore, the Innova 3340 can be applied not solely for your automobile. It can be your assistant at home as well. For example, acting as a voltage meter, it can detect if the electric wall outlet functions properly. So, if you need a tool, able to help you with various works in the house and vehicle, this one seems to be the perfect option. Moreover, this instrument can be utilized by professional electricians. The design of this Fieldpiece multimeter is the first thing, which grabs our attention. While having an unusual design in comparison with its rivals, this instrument provides with the good quality services. It’s convenient and ergonomic. There are many discussions about the impact of the design on its screen size. Some people consider the screen to be too large, while the others assure that it’s too small. Basically, everyone has a right for his/her own opinion and you can form your own one only after using this tool. This multimeter is equipped with bright white LED light, which is especially necessary for dark environments. It’s very easy to use the rotary switch. You are free to rotate it with only one hand and it’s very convenient, especially for professionals, who work with this tool every day. Note that it is a manual ranging multimeter and the range must be set by you. The multimeter front keeps two indicators: for high voltage and for continuity. Additionally, its non-voltage detection function will notify you about the emergence of ghost voltage. To do that, you simply need to wave above an individual source for ghost voltage checking while holding the NCV button. The Fieldpiece multimeter can measure temperature as well, even the one in the room. However, if you need to check the temperature in an object or liquid, it’s necessary to connect the switch, which goes in the set. Take into account that the data can be wrong if you dip the probe into corrosive liquids as the integrity of the thermocouple can be endangered. This compact multimeter keeps a great number of valuable characteristics. It deals with measuring capacitance, voltage, current, resistance and frequency. With the integrated RMS technology, it shows the most precise data. This tool of practical design is a perfect choice for professionals, working with electricity-related things regularly. The 117 multimeter is well-built and keeps the strong casing. Basically, if you take care of the instrument, it will serve you for many years. This DMM is able to measure very low voltages, even 0.001V ones. And you may know that not every multimeter can deal with that. The exact range of the item is 600mV with voltage ranges between 6.60 and 600V. 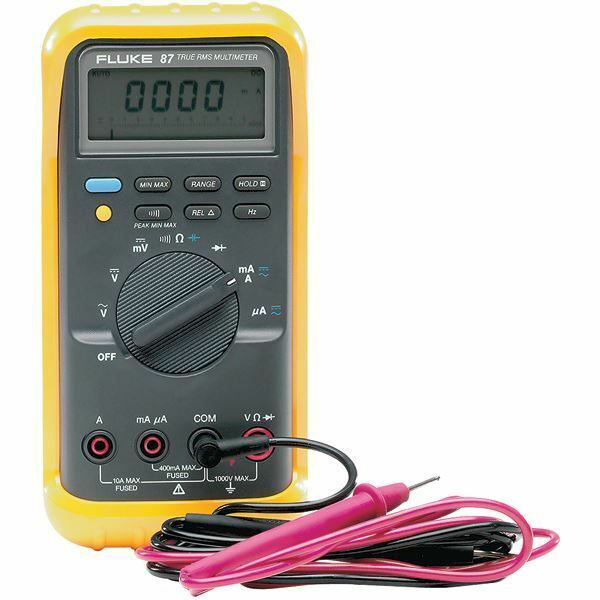 With 0.5% accuracy, this multimeter can find any problem in the electrical stuff. 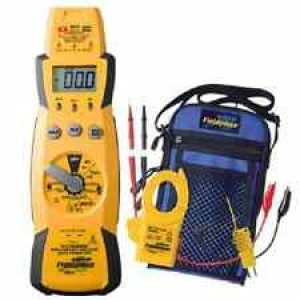 The auto-volts function, which measures the voltage in the 600V range plus keeps the accuracy of 2.0% at lower frequencies and the one of 4.0% on higher frequencies, is extremely liked by professionals. Another great feature is a data hold function, which will be your magic wand if you need to remember the data but have no opportunity to write it down. The result of the measurement will be saved as soon as you press the “hold” button. It will be deleted after new data appears or if you press the “hold” button once again. The screen of this Fluke item is its most distinctive feature. It’s supplied with a bright LED backlight, giving you an opportunity to work in dark areas. The good contrast makes the numbers well-seen at any angle. However, the usefulness of this item can be understood only after you hold it in your hands for at least once. Moreover, this multimeter is user-friendly and you will face no difficulties with its application. This is another item on our list by Fluke brand, which is known for strong and durable products of superior quality. And this multimeter isn’t an exception. Featuring cool design, it’s able to resist bumps, hits and other ill treatment. Moreover, it provides the highest level of efficiency and precision. You can be sure that all the data will be accurate and reliable no matter what you use this item for. 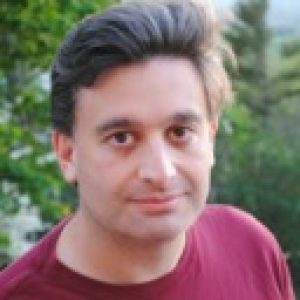 Besides, the instrument keeps some additional functions for deep analysis of the problem. Thus, it’s able to measure up to 1000V of AC/DC, 10 or 20 amps of current, frequency and more. Keeping a built-in thermometer, it will determine the temperature with no additional tools needed. The screen features a dual resolution of 6000 or 20 000 counts, allowing to detect the slightest changes in values. Moreover, the multimeter gained CAT III 1000V and CAT II 600V safety certificates. The safety certificates are a major plus for any tool and, in fact, every professional multimeter must have them. Moreover, such a certificate guarantees your safety during the work as any error may lead to dangerous consequences. One more benefit of this Fluke product is that it keeps the lifetime warranty, which serves as one more proof of the instrument’s quality. In comparison with other multimeters, this one can be a bit harder in application, but the user-friendliness is on the decent level. Either way, we recommend reading the user manual before starting to work with this tool. Don’t be afraid, it’s rather comprehensive even for non-professionals. Perhaps unsurprisingly, the first place is occupied by one more Fluke product, 88V. It’s considered as the perfect multimeter for automotive employment. It will easily cope with measuring the signal pulse width and determining the injector state. And if you have already dealt with injectors, you may know that they demand regular check. The item’s characteristics really impress: 1000V of AC/DC, maximal resistance of 50 M plus it can resist even 8,000V spikes. The accuracy is about 1%. This multimeter can also check the diodes of the automobile. It can measure up to 60.00 nS of maximal conductance. 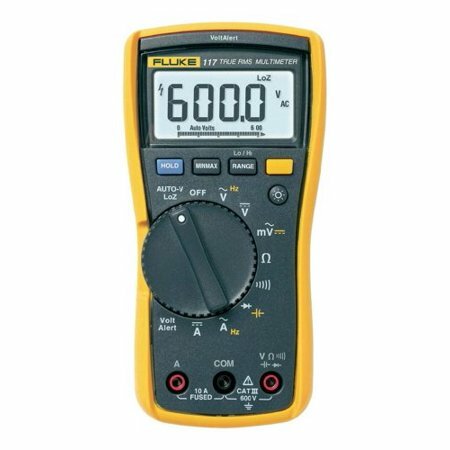 Like the previous Fluke item, the 88V keeps a lifetime warranty. Despite being the best product of the Fluke range, this multimeter still has some minuses. First of all, it’s rather pricy in comparison with its competitors. So, if you seek for cheap variants, have a look at the items above. The other flaw is that the multimeter is rather bulky. 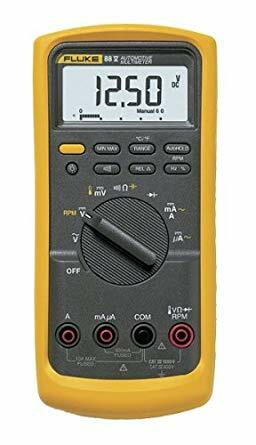 It’s heavier and bigger than other Fluke multimeters. But on the other hand, this disadvantage may turn into advantage for some people as it provides with the feeling of superior quality and endurance. Usually, multimeters have three main functions while being applied in automotive sphere. The primary one is to test continuity. By testing the continuity, you will discover if the automobile parts are continuous or not and, consequently, you will know if the electrical current flows from one end to the other. If there is no continuity, it signifies that the circuit is broken and the detail must be substituted. Secondly, a multimeter can be employed for measuring resistance in the vehicle parts, including fuses, sensors and ignition coils. By doing that, you will know if any part like a headlight requires replacement. Thirdly, this tool can check voltage within the automobile’s parts. You may know that a certain amount of voltage is required for the steady functioning of heavy bass subwoofers and powerful amps. If it’s not provided, the speaker system will fail to function. Actually, by having the proper instruments, you can diagnose and notice any trouble with almost no efforts. Sometimes, even the most efficient automotive scanners fail to detect some problems, which are revealed by multimeters. Finally, a multimeter turns out to be a very useful tool, especially if you are a handyman, who fixes things around the house as well as repairs vehicles, or a professional, who deals with electricity-related objects. Good quality instruments can assist you in measuring a vast number of things and immediately display them on the screen. Several years ago, multimeters weren’t very affordable, but today, the prices are much lower and every professional or amateur can acquire an efficient instrument. The major problem is to choose the most appropriate item from a wide range of brands and products. Thus, to make your life a bit easier, we have created this guide. While selecting the best items, we have analyzed many products in order to provide you with the actual information on their characteristics, designs, process, pluses and minuses. Moreover, we tried to make every piece of information comprehensive for everyone, even for people, who have never dealt with multimeters before.